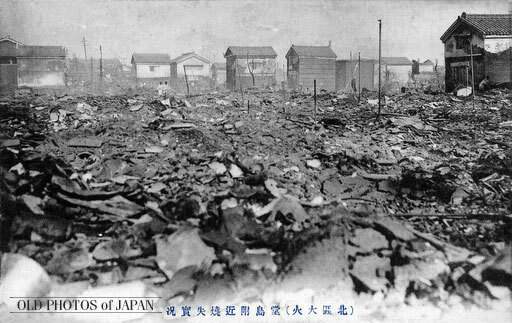 This year it is 100 years ago that Osaka was devastated by a fire that raged through the Northern part of the city for a full 24 hours. At 4:20 in the morning on July 31, 1909 (Meiji 42) a fire broke out at a knit-wear factory in Osaka’s Kita-ku. 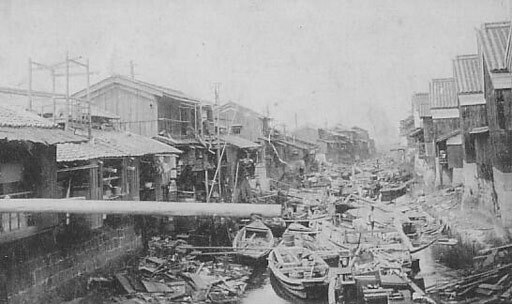 In late Meiji (1868-1912), there were only two fire engines—powered by steam—for the whole city, and most of the buildings in Osaka were made of wood. This proved disastrous. As a strong north-eastern wind drove the fire from one bamboo gutter to the next, it soon went wild. Within hours, a huge area south of Osaka station was engulfed in flames.